This summer in London, Embrace, the first ballet score by Sarah Kirkland Snider, will be featured in a new 35-minute dance piece by choreographer George Williamson for Birmingham Royal Ballet in a program that includes Twyla Tharp’s commissioned score by Philip Glass, In The Upper Room. The premiere run is 15-16 June 2018 at Sadler's Wells and 20-23 June at the Birmingham Hippodrome. Snider’s works have been commissioned and performed by the New York Philharmonic and the San Francisco, Detroit, Indianapolis, and North Carolina symphonies. Her music has been heard at Carnegie Hall, Lincoln Center, and the Kennedy Center, and at festivals including Big Ears, BAM Next Wave, Cross-linx, Aspen, Ecstatic, and Sundance. Her two orchestral song-cycle albums, Penelope (2010) and Unremembered (2015), graced Top Five lists on NPR, The Washington Post, The Nation, and Time Out New York. Embrace is scored for full orchestra and will weave together new music with existing material from Unremembered and Hiraeth. 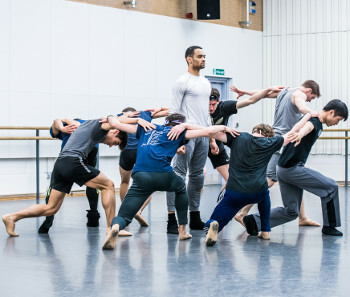 Embrace is a commission by Birmingham Royal Ballet through their new Ballet Now initiative, and will prove to be an exciting introduction to Snider's orchestral music in the UK.